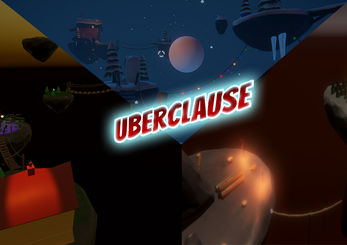 UberClause is a 3D Platformer in which you try to kick your enemy from floating islands to win the game. This is a students project. 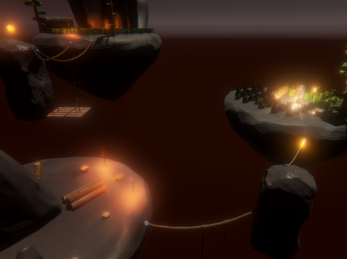 The graphics in the game are nicely aesthetic for me, but once again all that work is ruined by the awkward gameplay, this time i wasn't even able to play the level. First off, when i clicked play and it showed me the storyboardz, there was already no 'Next' button and the SBz oddly went from one to another in seemingly fixed interval. 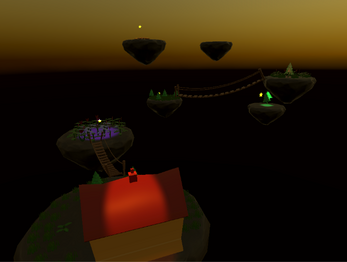 Also might be better if you added a regular 3D character (or maybe custom FBX character import). As i haven't found a walkthrough and i'm myself too lazy to connect a joystick i guess it's first person shooting with snowballz ?